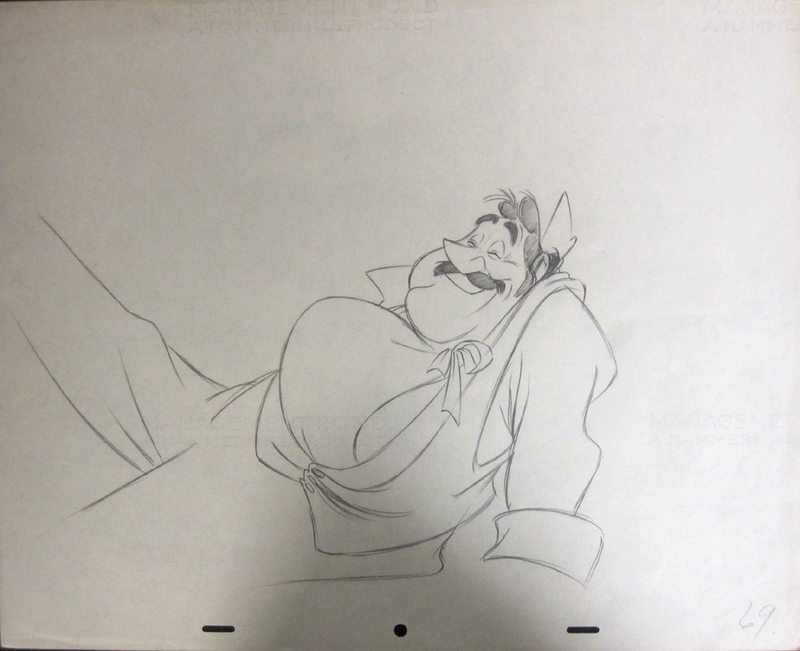 This is an excellent production drawing of Mr. Darling from Peter Pan (1953). The untrimmed animation paper measures 12.5" x 15.5" and the image measures 7.5" x 11.5".